Immerse yourself in your favourite games, sports and movies with this high-definition projector. With a screen size of up to 300 inches, the EH-TW3200 brings video games, movies and sports to life — making it a versatile alternative to a High Definition television. Powered by Epson’s 3LCD technology, the EH-TW3200 delivers smooth, lifelike images with superb brightness and definition. 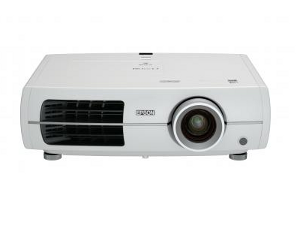 There’s no need to draw the curtains, even in daylight, thanks to the equally high White and Colour Light Output (CLO) of 1,800 lumens which powers the projector’s natural colours and bright pictures. Simple to set up, the EH-TW3200 has a fully adjustable lens and zoom to achieve a perfect picture. And a big-screen experience can easily be created in any living room by connecting the projector to set-top boxes, games consoles and DVD/Blu-ray players using the two HDMI inputs.